Cory Landerfelt from SF with the big fish on our private 13 man charter today. 10 Salmon to 25lb... Flat calm and lots of fun !! Captain Jared Davis called in with an audio update from the Salty Lady out of Sausalito, CA. Today we fished above Duxbbury Reef in flat calm weather. 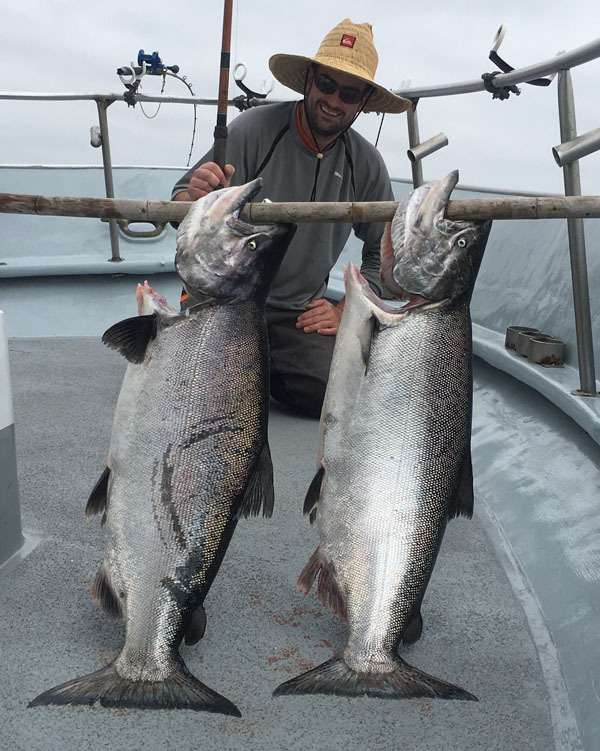 Our charter group of 13 anglers caught 10 King Salmon (up to 25 pounds). We had great company today and everyone had a lot of fun.